Discover and collaborate with PaleoWeb free plate tectonics software for academics and researchers. 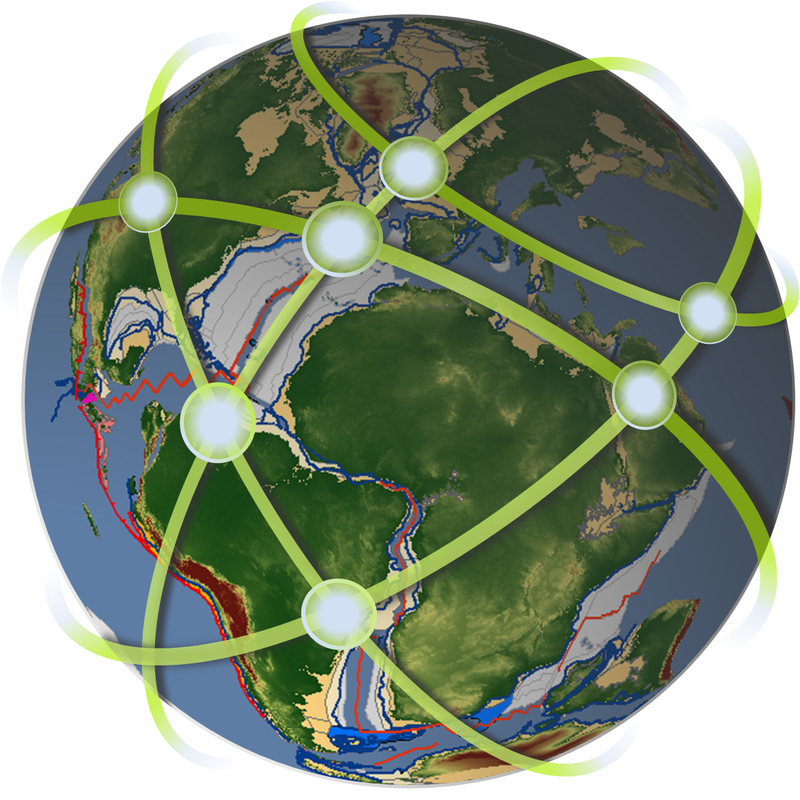 A hosted plate tectonics reconstruction application, PaleoWeb is powered by open-source technologies and designed for geology, geoscience and life science academic and research communities. Its first release includes the majority of functionality from Rothwell’s flagship plate tectonics reconstruction modeling application, PaleoGIS. Additional functionality is to be added over time. Users access PaleoWeb with a “viewer” that operates as an add-in or extension to a third-party software package. This viewer is available as an easily installed add-in for ArcGIS Desktop (ArcMap) version 10.1 or greater, at any license level. Using PaleoWeb requires Internet access and an installed, licensed copy of ArcGIS Desktop. PaleoWeb is hosted by Rothwell and free to academic and research organizations and their students for non-commercial use. While it is a multi-institution hosted implementation, all work performed using the application is completely secure and private. However, scientists and students are encouraged to collaborate, post and share select reconstructed outputs for use by the global academic community. Contact us to learn more about this free application, at 303-261-8107, ext. 10, or Sales@RothwellGroup.com.